Pastor Enoch Adeboye, General Overseer of the Redeemed Christian Church of God (RCCG) and many other christian leaders will on Tuesday, February 13, meet over the current state of Nigeria. 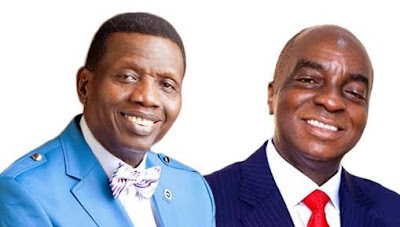 In a notice circulated on Friday, the gathering will hold at the Old Arena, Redemption Camp, KM 46, Lagos-Ibadan Expressway, Ogun State Adeboye will lead other top clerics including Bishop David Oyedepo of the Living Faith Ministries, Pastor Matthew Ashimolowo of the Kingsway International Christian Centre, KICC, in discussion and devotion. The notice disclosed that the agenda is to pray about killings, cultism, corruption, ritualism, bloodshed, kidnapping and unemployment in the country. It added that the intercession will last three hours – 10 am to 1 pm. Last weekend, Adeboye lamented the incessant killings in Nigeria.